You don't have to replace an entire control system - migrate with SoftPLC solutions easily and inexpensively! Control equipment is rugged and often lasts for decades. But as technology changes, the brains of the control system - the PLC's, HMI's & Drives - become obsolete due to the fast-moving technology advances in computer software and networking. The most costly parts of the control system - the I/O, wiring, and engineering - typically do not have to be replaced merely to keep up with computer technology changes. 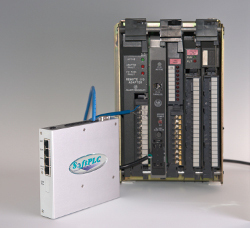 Replace your obsolete or functionally limited Allen-Bradley PLC with one of our open architecture SoftPLC CPU's. We convert the application and documentation using automated utilities, preserving your engineering effort. In most cases, the existing I/O, HMI/SCADA, and communication networks can be left virtually unchanged (although these can be easily upgraded too). Click here for a short video that describes our low-stress, low-cost A-B CPU upgrades. We also offer migration paths for other vendor PLC's (eg: Siemens, Scheider/Modicon and others). If you have an old Allen-Bradley PLC and you need software to upload the existing program for an upgrade, or if you're not yet ready to upgrade and need to continue to support the system, TOPDOC is the answer. 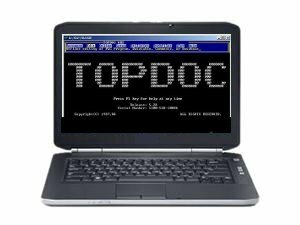 We provide TOPDOC PLC programming and documentation software for PLC-2, PLC-3 and PLC-5 systems. Replace your obsolete, proprietary PanelView HMI with a PC-based Web Studio HMI. Our Import Utility for PanelBuilder32 is a powerful and innovative add-on for SoftPLC Web Studio, which can dramatically reduce the cost and hassle of modernizing the automation system in your facility. We also offer Remote I/O and DH+ Gateway solutions that allow you to seamlessly replace a drive or HMI on an existing A-B Remote I/O or Data Highway Plus network without requiring re-programming in the A-B PLC.